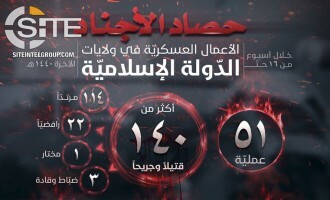 The Islamic State's (IS) al-Naba newspaper, Issue 172, featured an infographic identifying 156 casualties in 44 attacks - its lowest number of recorded attacks in eight months - in a breakdown of IS military actions for the week of February 28 - March 6, 2019. 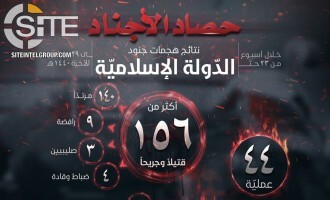 The Islamic State's (IS) al-Naba newspaper, Issue 171, featured an infographic identifying 140 casualties in 51 attacks, in a breakdown of IS operations for the week of February 21-27, 2019. Afghan Taliban Clarifies Delay in Islamabad Meeting with U.S. 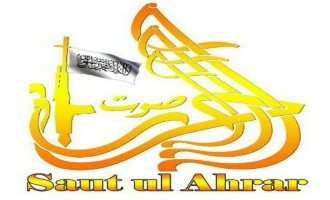 The Afghan Taliban clarified the reason behind the delay in its meeting an American delegation in Islamabad, Pakistan. 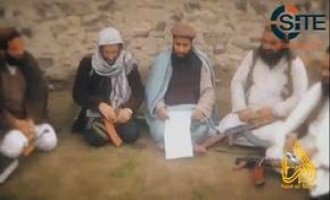 Afghan Taliban Announces Next Two Rounds of Negotiations with the U.S.
After identifying the members of its new team for negotiations with the United States, including former Guantanamo inmates, the Afghan Taliban announced the next two rounds of talks, one in Doha and the other in Islamabad. The Islamic State (IS) released the 25th episode in a video series providing statistical breakdowns of IS operations, covering in this installment the week of January 10-16, 2019. 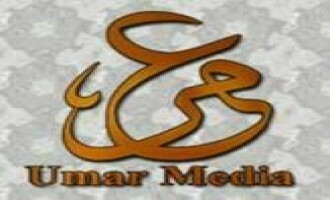 The 3 minute, 15 second video, with Arabic and English text, was produced by the group’s al-Hayat Media Center and was released on January 17. The Afghan Taliban announced that officials from its Political Office will meet with representatives of America as well as Pakistan, Saudi Arabia, and the United Arabic Emirates, but not Afghanistan. 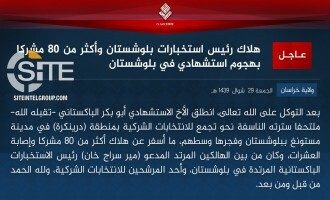 Using similar wording to its claim of credit for the Khost bombing in Afghanistan, the Islamic State's Khorasan Province (ISKP) issued a formal communique for the Orakzai market bombing on Shi'ites in Pakistan. 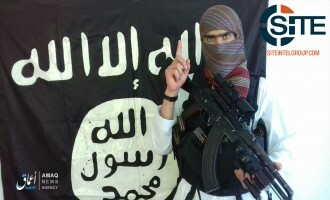 Adding to the dozens of casualties inflicted by Islamic State Khorasan Province (ISKP) fighters in Khost, Afghanistan, 'Amaq reported that a group fighter is responsible for causing a total of 132 casualties among Shi'ites in a suicide bombing in Orakzai in neighboring Pakistan. Tehrik-e-Taliban Pakistan (TTP) vowed revenge for Pakistan's Supreme Court acquitting a Christian woman on a blasphemy charge, and urged Muslims to wage jihad to defend their religion and sanctities. Tehrik-e-Taliban Pakistan (TTP) issued an "operational manual" for its fighters, wherein it delineates the code of conduct by they must avoid, legitimate targets for conventional and suicide attacks, and seizing of war spoils. 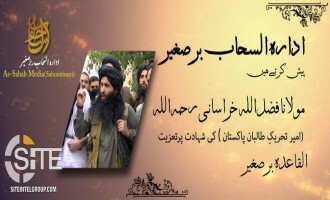 Tehrik-e-Taliban Pakistan (TTP) released an audio speech by its leader, Abu Mansour Assim Mehsud (Noor Wali), giving thanks to those groups and individuals that gave condolences for the death of his predecessor, Fazlullah al-Khorasani, and joining the call for uniting jihadi ranks. The Islamic State's (IS) 'Amaq News Agency reported that fighters in Balochistan province of Pakistan killed close to 15 Pakistani soldiers in clashes. Supporters of the division of the Islamic State's (IS) Khorasan Province in Kashmir released an Urdu speech with accompanying English translation calling on Muslims in the region to join the group. Al-Qaeda Central (AQC) released a speech from its media chief for the fourth anniversary of the Pakistani military offensives in North Waziristan, condemning Pakistani police soldiers as “terrorists”. 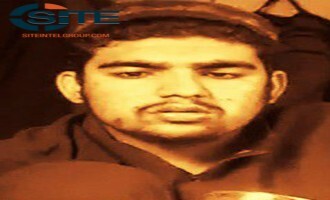 Pro-IS Group Gives Biography of Slain Canadian-Pakistani Fighter "Abu al-Zubayr al-Kanadi"
A foreign fighter-centric pro-Islamic State (IS) group gave a biography for a slain Canadian-Pakistani IS member it identified as "Abu al-Zubayr al-Kanadi". Al-Qaeda leader Ayman al-Zawahiri gave a eulogy for former Tehrik-e-Taliban Pakistan (TTP) leader Fazlullah Khorasani. Jihadists reported that a son of al-Qaeda (AQ) explosives expert Midhat Mursi al-Sayid Umar (AKA Abu Khabab al-Masri) was killed in a U.S. raid in the Afghanistan-Pakistan region. 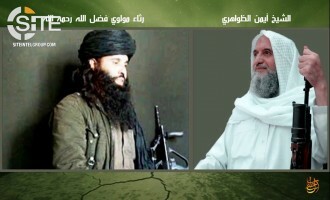 Al-Qaeda in the Indian Subcontinent (AQIS) gave a eulogy for former Tehrik-e-Taliban Pakistan (TTP) leader Fazlullah Khorasani and offered its "best wishes" to his successor, Mutfi Noor Wali Mehsud. Al-Qaeda in the Indian Subcontinent (AQIS) released a video featuring fighters involved in the August 2012 attack at Minhas Airbase in Kamra, a town in Pakistan's Punjab province. 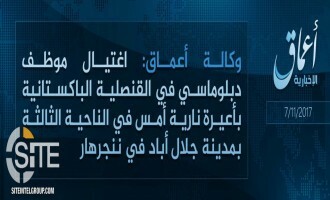 The Islamic State's (IS) 'Amaq News Agency reported the group's responsibility for a suicide bombing at an election center in the Pakistani city of Quetta. Tehrik-e-Taliban Pakistan (TTP) claimed credit for the suicide bombing on the convoy of former Agriculture Minister Ikramullah Gandapur in Dera Ismail Khan and regarded it as retaliation for his alleged role in the killing of dozens of fighters. 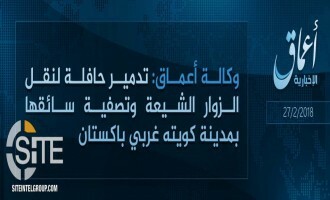 Shortly after the Islamic State's (IS) 'Amaq News Agency reported its responsibility for the suicide bombing at an election rally in the Pakistani city of Mastung in Balochistan, the group's Khorasan province issued a formal communique for the incident. 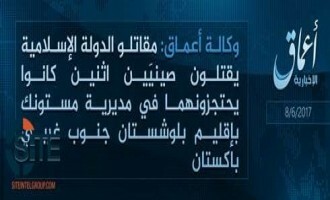 The Islamic State's (IS) 'Amaq News Agency reported that the group is responsible for the suicide bombing at an election rally in Balochistan province in southwestern Pakistan. Tehrik-e-Taliban Pakistan (TTP) claimed credit for the suicide bombing at a rally by the Awami National Party (ANP) in Peshawr killing a leader, Haroon Bilour, and at least 19 others, and threatened future operations against the political party. TTP Video Shows Training of "Martyrdom Seeker Mujahideen"
Tehrik-e-Taliban Pakistan (TTP) released a video focusing on training of "martyrdom seeker mujahideen". Tehrik-e-Taliban Pakistan (TTP) acknowledged thee death of its leader, Fazlullah Khorasani, and announced the appointment of his successor. 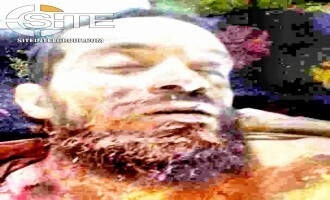 Al-Qaeda in the Indian Subcontinent (AQIS) released a video dedicated to deceased fighter Muhammad Ilyas Soomro (AKA Haji Aref). 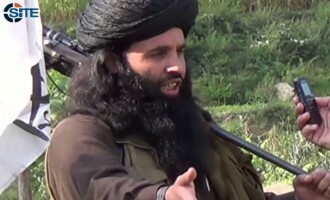 Tehrik-e-Taliban Pakistan (TTP) likened civilian deaths in clashes involving the Pashtun Protection Movement (PTM) in Wana, South Waziristan, to the massacre of Bosniaks in Srebrenica, and vowed to avenge the slain. On the same day it claimed credit for a suicide bombing on a meeting of scholars in the capital of Afghanistan, Kabul, the IS' Khorasan province took responsibility for a two-man suicide raid in neighboring Pakistan. Tehrik-e-Taliban Pakistan (TTP) published a set of photos from its Mehdi Alaih Rizwan camp showing fighters training with firearms and exercising. 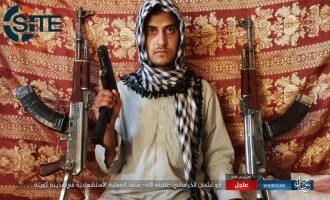 The Islamic State’s (IS) Khorasan Province claimed killing and wounding 9 Christians in the Pakistani city of Quetta. 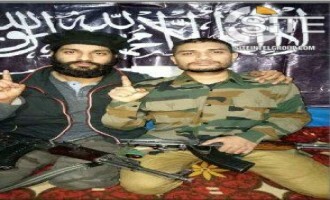 The Kashmir-based Ansar Ghazwat-ul-Hind (AGH) published the first issue of its "Nasr Bulletin," eulogizing in it one of three recently slain militants that an Islamic State (IS)-pledged group had claimed as its own. The Islamic State's (IS) Khorasan Province published photos of its "Care of the Vulnerable" body distributing gifts to orphaned boys and girls. The Islamic State's (IS) Khorasan Province claimed burning a bus transporting Shi'ite pilgrims in the city of Quetta in western Pakistan. 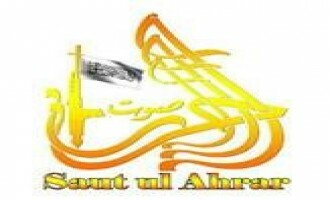 A Bangladeshi al-Qaeda in the Indian Subcontinent (AQIS) fighter directed a message to his fellow countrymen, citing the establishment and actions of the Pakistani army to urge they not back "apostate armies" and embrace only those groups that adopt jihad and seek Shariah-based governance. Tehrik-e-Taliban Pakistan (TTP) claimed credit for the suicide bombing on a police truck in Quetta, the provincial capital of Balochistan, Pakistan. 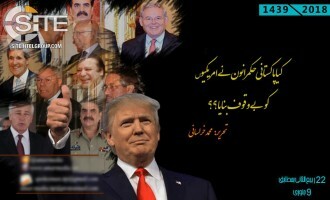 Tehrik-e-Taliban Pakistan (TTP) issued a statement remarking on U.S. President Donald Trump's New Year's Day tweet about Pakistan double-crossing America and giving haven to terrorists in neighboring Afghanistan while collecting aid, calling it "foolishness". 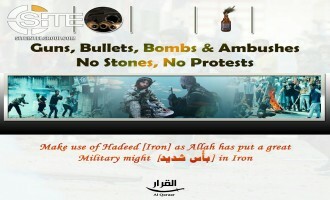 A Kashmir-centric pro-Islamic State (IS) media group urged protestors in the territory to use bullets and stones, and published an article on Pakistani influence in the Kashmir Jihad. The media group, al-Qaraar, distributed a poster on January 3, 2018, displaying two scenes of protests, including one in Srinagar, with English text reading: "Gun, Bullets, Bombs & Ambushes / No Stones, No Protests". 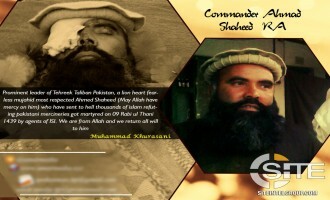 One day prior, it released an English article written by "Abu Rawaha al-Hindi" entitled "Realities of Jihad in Kashmir and Role of Pakistani Agencies," arguing that Pakistan exerts influence over existing militant groups in Kashmir and uses them for its own benefit against India, and warning that the territory will eventually be treated like Afghanistan, exposed to U.S. airstrikes. 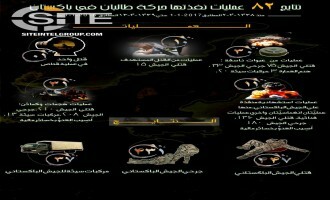 Tehrik-e-Taliban Pakistan (TTP) published a report on its operations in 2017, featuring an infographic at the end giving statistics of 83 operations in which 447 Pakistani soldiers were killed and 431 others were wounded. Tehrik-e-Taliban Pakistan (TTP) announced a senior leader in its ranks, "Ahmad, was killed by the Pakistani Inter-Services Intelligence (ISI). 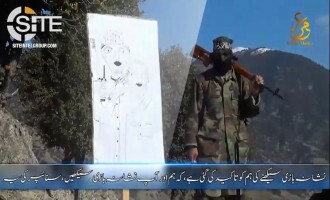 TTP Video Shows Training Exercises of "Islamic Sniper Group"
Tehrik-e-Taliban Pakistan (TTP) released a video featuring scenes from a training camp for its "Islamic Sniper Group". 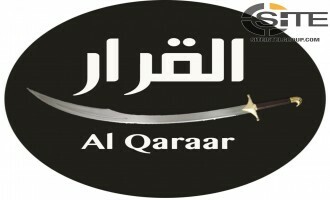 Al-Qaeda in the Indian Subcontinent (AQIS) spokesman Usama Mahmoud focused on Kashmir in the second episode of an interview series, wherein he insisted thar expanding the war against India to cover the entire region is a "must," and declared that "the Indian army and Hindu government’s peaceful world should be made a war zone". The Kashmir-centric pro-Islamic State (IS) media unit al-Qaraar released a video of a Kashmiri fighter calling on fellow fighters and Muslims in the region to pledge allegiance to the IS and join its alleged caliphate. 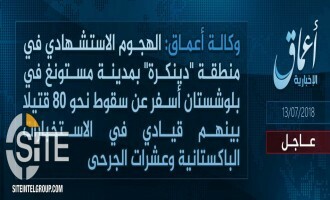 Shortly after the Islamic State's (IS) 'Amaq News Agency reported the group's responsibility for the suicide attack at the Bethel Memorial Methodist Church in the Pakistani city of Quetta, its Khorasan Province issued a formal communique for the operation. 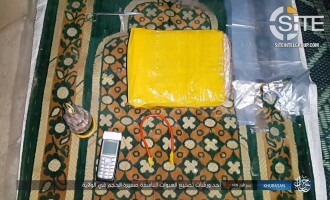 The Islamic State's (IS) Khorasan Province, which is active in Afghanistan and Pakistan, published a photo report on its construction of a small improvised explosive device (IED). 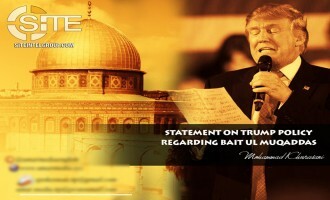 TTP Calls Trump's Recognition of Jerusalem as Israel's capital an "Open Declaration of War Against Muslims"
Tehrik-e-Taliban Pakistan (TTP) called U.S. President Donald Trump's recognition of Jerusalem as Israel's capital an "open declaration of war against Muslims". TTP Claims Suicide Raid at Peshawar Agriculture Training Institute, Calls Target a "Clandestine ISI Safe House"
Tehrik-e-Taliban Pakistan (TTP) claimed credit for the suicide raid at the Peshawar Agriculture Training Institute, calling the target a "clandestine ISI safe house," and provided attack footage captured by one of the participating fighters. Al-Qaeda in the Indian Subcontinent (AQIS) spokesman, Usama Mahmoud, called on Muslims in the region, namely Bangladesh, India, Kashmir, and Pakistan, to act for their Rohingya brethren in Myanmar. 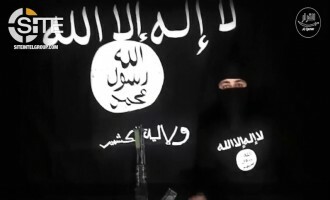 The Islamic State's (IS) Khorasan Province released a video showing the interrogation and subsequent brutal execution of a spy, after which an orphaned child stands atop his decapitated head and declares revenge against those charged with espionage. 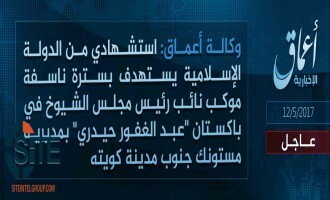 The Islamic State (IS) claimed through its 'Amaq News Agency the assassination of a Pakistani consulate employee in Nangarhar province in eastern Afghanistan. 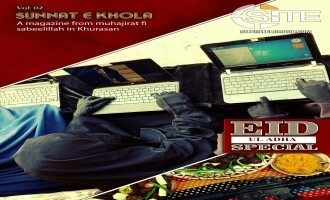 Tehrik-e-Taliban Pakistan's (TTP) Umar Media published the second issue of its English magazine for women, "Sunnat E Khaula," continuing the series from its first issue with the next installment of an interview with the wife of the group's leader, Fazlullah Khorasani, and another piece written from the perspective of a 6-year-old boy. 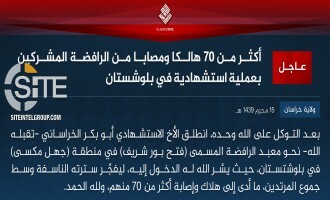 The Islamic State's (IS) Khorasan Province claimed killing and wounding over 70 Shi'ites in a suicide bombing at their shrine in Balochistan, Pakistan. 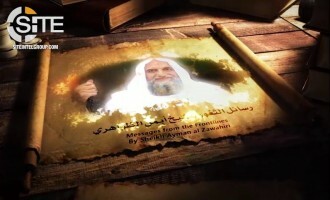 Al-Qaeda (AQ) leader Ayman al-Zawahiri rallied fighters in the group’s branches in the Indian Subcontinent, North Africa, Somalia, and Yemen, and to those in the Mali area, called to “teach the French a lesson”. Tehrik-e-Taliban Pakistan (TTP) released a video showing training at a camp for its “Special Task Force” (STF) fighters. 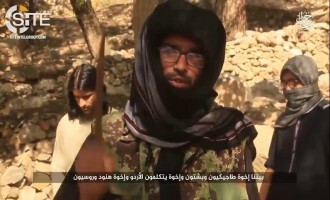 The Islamic State’s (IS) Khorasan Province, which spans Afghanistan and Pakistan, released a video showing Eid al-Adha festivities, featuring an English-speaking fighter noting the presence of Indians, Russians, and Tajiks in their ranks. 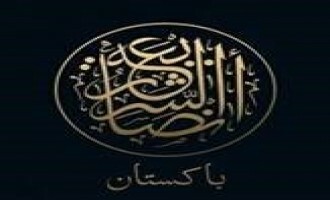 On the occasion of Pakistan’s 70th anniversary, the Tehrik-e-Taliban Pakistan (TTP) offshoot Jamat-ul-Ahrar argued that the country had not truly realized its independence and urged Muslims to join it and pursue Shariah-based governance. 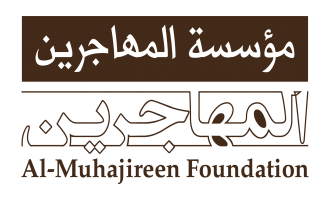 In an English statement posted on Telegram on August 14, 2017, the group explained that the “true meaning” of the country’s foundation is monotheism, but its leaders diverted from that, being preoccupied with corruption. It stated: “Score of politicians played with emotions of innocent people in the name of liberty and freedom. So-called religious leaders bet on the Sharia in the country. 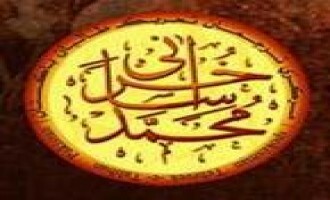 At the end of painstaking seventy years of journey, it has been realized that the paths they are following and stressing to lead us upon would never end in true destination.” To correct the path, declared that the people must embrace martyrdom and fighting “in the cause of Allah”. 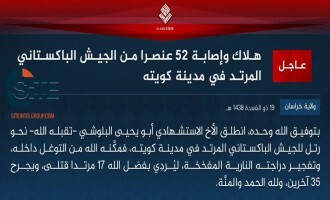 The Islamic State’s (IS) Khorasan Province claimed killing 17 Pakistani soldiers and wounding 35 others in a suicide bombing near the Pishin Stop in Quetta, the capital of Balochistan, Pakistan. 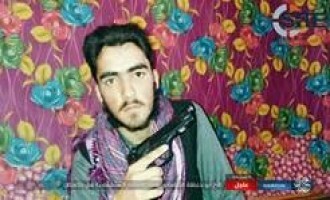 Coming amidst its recent propaganda aimed at women, Tehrik-e-Taliban Pakistan (TTP) published the first issue of an English jihadi magazine for female Muslims, featuring an interview with the wife of the group’s leader, Fazlullah Khorasani, and a piece written from the perspective of a 6-year-old boy. Ansar al-Shariah Pakistan (ASP) claimed its first attack in the country’s tribal region since its founding, bombing a Pakistani army patrol in Rajgal Valley, and derided the military campaign “Operation Kyber IV”. The Tehrik-e-Taliban (TTP) offshoot Jamat-ul-Ahrar claimed killing a “score” of Pakistani soldiers in Bajaur Agency with poisoned water. 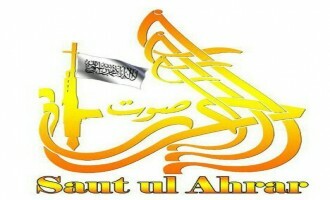 The Tehrik-e-Taliban Pakistan (TTP) offshoot Jamat-ul-Ahrar denied any link to the Islamic State (IS) and being based in its controlled areas. Ansar al-Shariah Pakistan (ASP) published a document it titled “General Guidelines for Public,” outlining rules civilians should heed to avoid exposing themselves to harm during fighter attacks on military targets. Al-Qaeda in the Indian Subcontinent (AQIS) released a video focusing on a suicide bombing on a Pakistani military center in Daraban tehsil in Dera Ismail Khan. 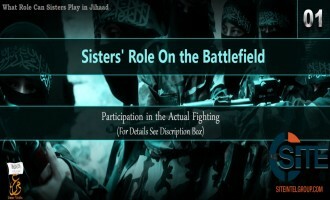 Tehrik-e-Taliban Pakistan (TTP) urged women to physically participate in fighting in the first part of a new series on “sisters” in jihad. 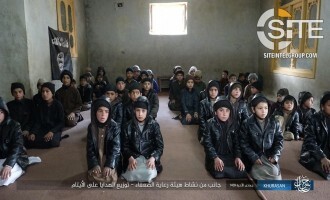 The Islamic State (IS)-affiliated Furat Media released a video of children and adult fighters in the group’s Khorasan Province executing spies for the Afghan and Pakistani Taliban movements and Afghan soldiers. 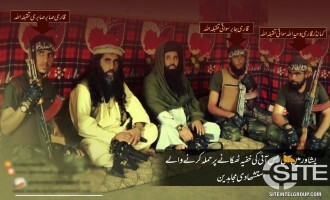 “Ansar al-Shariah Pakistan” (ASP), which purports to have defectors from the Islamic State’s (IS) Khorasan Province among its membership, claimed five attacks on Pakistani security forces in Bahadurabad, Karachi, and Mastung in a campaign it dubbed “Elimination of Apostasy”. Al-Qaeda in the Indian Subcontinent (AQIS), the AQ branch for Bangladesh, India, and Pakistan, and as it just revealed, Afghanistan and Burma (Myanmar), released its “Code of Conduct,” wherein it declared that Americans and U.S. interests in Pakistan are its “foremost priority”. The Islamic State's (IS Khorasan Province and the Tehrik-e-Taliban Pakistan (TTP) offshoot Jamat-ul-Ahrar each claimed credit for a bombing in Quetta on Pakistani police, with the individual groups providing differing details. A group calling itself “Ansar al-Shariah Pakistan” (ASP), which purports to have defectors from the Islamic State’s (IS) Khorasan Province among its membership, announced its establishment, and explained the reasons for those fighters joining and then leaving the IS. The Islamic State’s (IS) ‘Amaq News Agency reported that group fighters killed two Chinese nationals who were being held in Balochistan province of Pakistan. Tehrik-e-Taliban Pakistan (TTP) claimed two attacks on Pakistan soldiers in North Waziristan in revenge for a commander and a fighter killed in a drone strike two days prior. 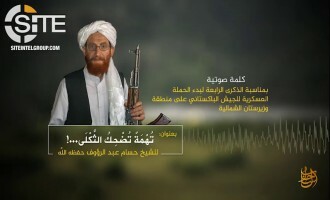 The Tehrik-e-Taliban Pakistan (TTP) offshoot Jamat-ul-Ahrar published an English message attributed to an American fighter threatening Pakistani soldiers and promoting the success of the group’s “Operation Ghazi”. Lashkar E-Jhangvi al-Alami, a Sunni militant group based in Pakistan, claimed credit for attacks in the Pakistani city of Quetta and the country’s northwest tribal region. 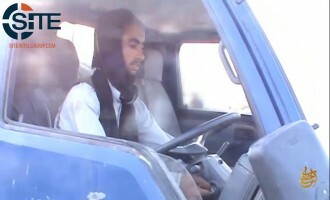 The Islamic State’s (IS) Khorasan Province claimed killing and wounding over 70 in a suicide bombing targeting a convoy of Abdul Ghafoor Haideri, the deputy chairman of the Pakistan Senate, near Quetta. Through its ‘Amaq News Agency, the Islamic State (IS) claimed credit for the assassination attempt on Abdul Ghafoor Haideri, the deputy chairman of the Pakistan Senate, in a suicide bombing on his convoy. The Islamic State’s (IS) ‘Amaq News Agency reported the assassination of an official in Khanpur, Pakistan. 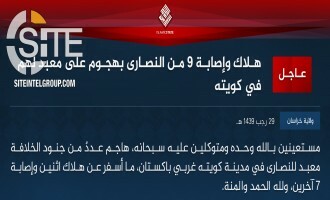 The Islamic State’s (IS) Khorasan Province claimed credit for the suicide bombing near the U.S. Embassy in the Afghan capital, Kabul, and reported the killing of eight American soldiers and a number of Afghan troops. Tehrik-e-Taliban Pakistan (TTP) claimed an attack by 120 fighters on a Pakistan Army camp in North Waziristan, in revenge for a U.S. drone strike on a position held by a TTP commander, Akhtar Muhammad Khaleel. Tehrik-e-Taliban Pakistan (TTP) and its offshoot Jamat-ul-Ahrar each rejected claims by their former spokesman, Ehsanullah Ehsan, that they have links to the Afghan and Indian intelligence agencies, NDS and RAW. Both the Islamic State’s (IS) Khorasan Province and the Tehrik-e-Taliban Pakistan (TTP) offshoot Jamat-ul-Ahrar claimed credit for a bombing Shi’ites in Kurram Tribal Agency in northwestern Pakistan. 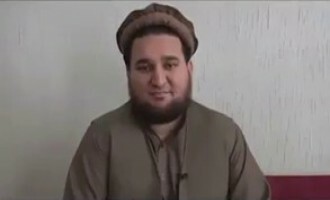 The Tehrik-e-Taliban Pakistan (TTP) offshoot Jamat-ul-Ahrar claimed that the head of its Central Media Commission, Ehsanullah Ehsan, did not surrender to Pakistani security forces, but was arrested through “ISI agents” and turned over to the army. 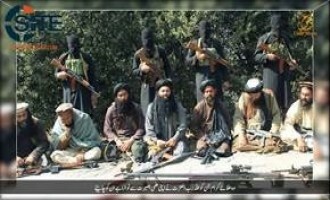 Tehrik-e-Taliban Pakistan (TTP) claimed that its fighters poisoned the water supply of Pakistani security personnel in three posts in the Charmang subdistrict of Bajaur Agency, killing dozens and harming others. 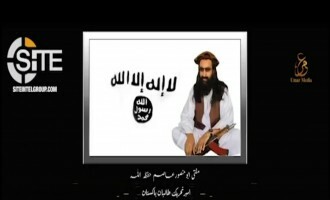 Tehrik-e-Talibban Pakistan (TTP) released a video from its leader, Fazlullah Khorasani, declaring that the group has nearly uprooted all “cracks” within its structure by the Pakistani intelligence, and calling on fighters to kill blasphemers of the Prophet Muhammad. 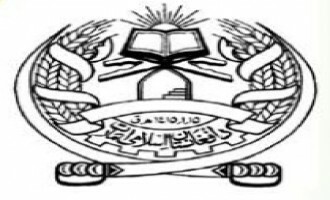 Tehrik-e-Taliban Pakistan (TTP) claimed credit for destroying the Sunrise School in Qamber Khel in Pakistan’s Khyber Agency due to its being used as a “base of obscenity”. Tehrik-e-Taliban Pakistan (TTP) claimed credit for the suicide bombing that struck Pakistani soldiers escorting census workers in Lahore. 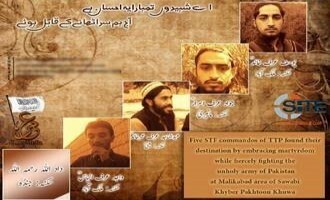 Tehrik-e-Taliban Pakistan (TTP) mourned the death of fighters and a commander killed in recent U.S. drone strikes, including one who was the mastermind of the October 2009 attack on the Pakistan GHQ in Rawalpindi. Khyber-Paktunkhwa province on March 7, 2017, in which the group killed a Pakistan Army captain and a soldier. Tehrik-e-Taliban Pakistan (TTP) gave a eulogy for Aamir Ali Chaudhry (AKA Huzaifa, Arsalan), an explosives expert who both the U.S. and UN sanctioned in 2012 for his role in the group and his association with al-Qaeda (AQ). The Islamic State’s (IS) Khorasan Province claimed killing two “intelligence” officials from the Afghan and Pakistani governments. 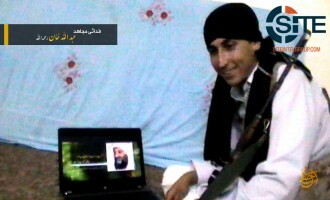 Al-Qaeda in the Indian Subcontinent (AQIS) released a video on the September 3, 2012, suicide bombing on a U.S. Consulate vehicle in the northwestern Pakistani city of Peshawar. The Tehrik-e-Taliban Pakistan (TTP) offshoot Jamat-ul-Ahrar claimed credit for the suicide raid at a court in Khyber Pakhtunkhwa’s Charsadda district. 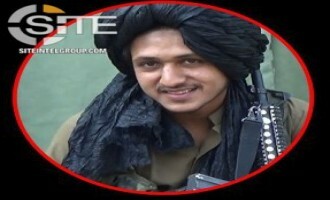 Tehrik-e-Taliban Pakistan (TTP) identified a son of its leader, Fazlullah Khorasani, as one of the two suicide bombers involved in the February 7, 2017, attack at Police Station Mardan in Bannu. 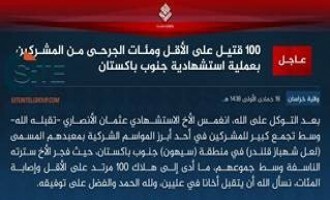 The Islamic State’s (IS) Khorasan Province claimed killing at least 100 “polytheists” and wounding hundreds of others in a suicide bombing at a Sufi shrine in Sindh, Pakistan. Tehrik-e-Taliban Pakistan (TTP) claimed credit for a suicide bombing on a van carrying judges in Peshawar, and an attack on a Samaa TV van in Karachi, as well as executing a spy, the video of which it said is forthcoming. 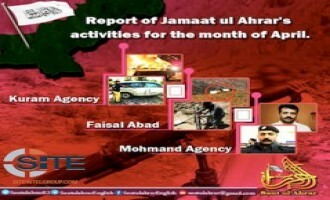 Within its newly-declared military campaign, “Operation Ghazi,” the Tehrik-e-Taliban Pakistan (TTP) offshoot Jamat-ul-Ahrar claimed a double suicide bombing on a political office in Mohmand Agency and vowed to “crush the apostates”. 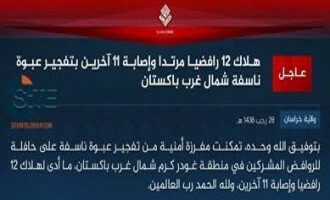 The Islamic State’s (IS) Khorasan Province claimed attacks in both Afghanistan and Pakistan in a single communique, stating that fighters clashed with Afghan National Army (ANA) soldiers in Nangarhar, and bombed explosive experts in Balochistan.